Golf resort package certificate includes one (1) night stay, breakfast, dinner, golf and golf cart rental for two people. Purchase multiple certificates for longer stays. 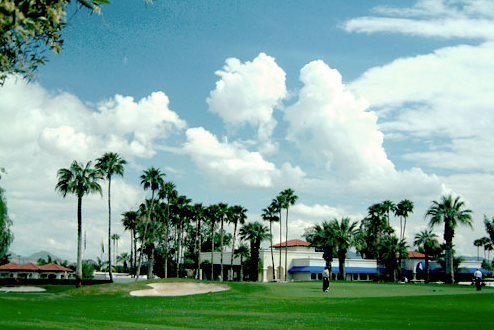 Visit www.arizonagolfresort.com for additional information. 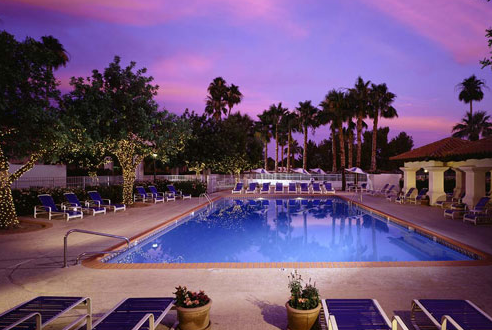 Experience a first-class resort getaway the way it was intended at the Arizona Golf Resort and Conference Center in the Phoenix-Mesa area. 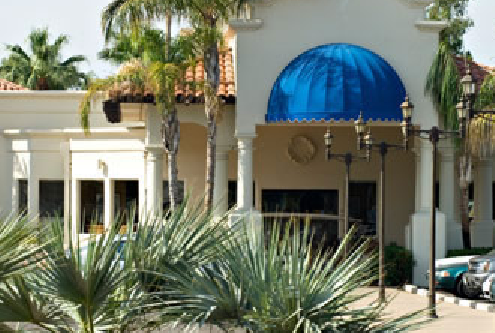 Whether it’s hitting the lush fairways of our golf course, enjoying the epicurean delights of our onsite restaurants, relaxing poolside or all of the above, you will find that our resort offers it all in unequaled style. 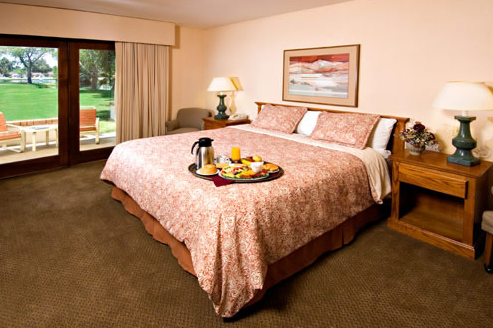 The Arizona Golf Resort in Mesa, AZ offers the warm hospitality, well appointed accommodations, fine dining options, picturesque golf course and lush landscaping that you would expect in a fine resort. Enjoy spacious guest rooms with full kitchenettes and outdoor WeberTM gas bbq grills amidst an amazing backdrop of one-hundred foot palms, cottonwood and eucalyptus trees, two sparkling swimming pools and relaxing Jacuzzis conveniently located just steps from your suite. Package includes a certificate for one (1) night stay, breakfast, dinner, golf and golf cart rental for two people. Purchase as many certificates as desired for longer stays. PREFERRED MEBERS: Apply up to $180 Reward Dollars towards purchase.